Hamburg / Hallein, 12th June 2018 – JES Elektrotechnik GmbH and DURAG Holding AG will work even more closely together in the future: As of January 2018, DURAG holds a 50 percent stake in the company. JES develops, produces and sells environmental monitoring solutions for traffic applications. Headquartered in Hallein, Austria, JES is the market leader in the German-speaking world in systems for monitoring air and lighting conditions in tunnels. It has been a DURAG GROUP sales partner for tunnel sensors for many years. “Through the partnership with DURAG, we now have access to a worldwide sales and service network for our tunnel sensor solutions,” explains René Jung, Managing Partner of JES. 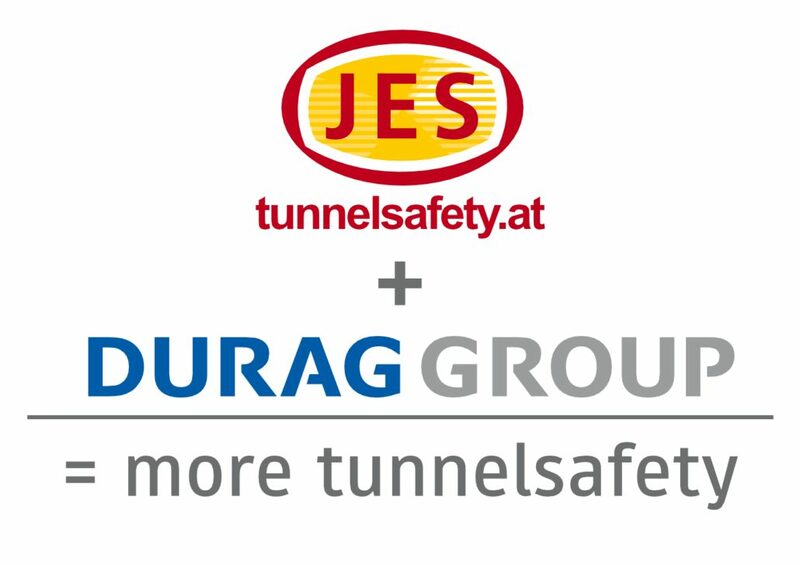 “The DURAG GROUP in turn benefits from the extensive experience of JES Elektrotechnik, which has completed several hundred tunnel projects, and completes its portfolio of sensors for monitoring air and light conditions in tunnels,” adds Frank-Uwe Schulz, CEO of DURAG Holding AG. In addition to the production and installation of the sensors, JES supports many tunnel systems and carries out maintenance on behalf of tunnel operators. “We are therefore aware of the pitfalls of operation, take the concerns of the operators into account and incorporate them immediately into the further development of our products. This results in highly satisfied customers”, continues Jung. In order to generate further growth, JES will invest in a new building near the existing site. The areas of administration, sales, production, development, training and technical services will be merged there. Headquartered in Hallein, Austria, JES Elektrotechnik GmbH is a leading provider of environmental monitoring solutions for transport infrastructure applications such as tunnels, underground car parks and road weather stations. JES solutions include sensors developed and manufactured in-house, as well as sensors from selected manufacturers such as DURAG. JES supports all systems over their entire life cycle and has many years of experience in monitoring the air and lighting conditions in several hundred tunnels. DURAG Group, with its headquarter in Hamburg, Germany, is a worldwide operating group of companies and one of the market leaders for intelligent solutions in the fields of environmental and ambient air monitoring, data management as well as ignition systems and safety devices for highly reliable industrial combustion processes. With its close to 500 employees, the group companies offer modern technology, certified equipment and reliable services tailored to the individual needs of our customers worldwide.